By what seems only to be coincidence, there has been a bundle of rich, informative writing about the India news media in the last month. It seemed a good idea to collect the links in one place – and they turn out to have a common theme. Exhibit One is the James Cameron lecture by N. Ram, until recently editor of The Hindu. As befits his biography, Ram writes as a newspaperman but his magisterial survey does not neglect the astonishing growth of 24-hour news television in India. I have already posted about this lecture, so I’ll summarise brutally and say that Ram’s underlying message was: because Indian news media is a “growth story”, don’t assume that everything is fine. Second item is a piece in the New Yorker (£) by long-time media analyst Ken Auletta on the Jain brothers who run Bennett & Coleman, the owners of the immensely successful Times of India. Auletta isn’t the first person to write about the changes which have occurred at the Times of India but he is the first writer to lay out with such clarity and force the truly revolutionary ideas which have altered the group’s papers. I do not mean “revolutionary” in any romantic sense. The insight on which the Jain brothers based their changes at the Times of India and the Economic Times was simple but turned the world of those newspapers upside down. The idea is shocking to journalists like me, brought up on the assumption that newspapers have a democratic function beyond their existence as businesses. Not so, thought the Jains: we’re not in journalism, we’re selling advertising. And so the journalism was gradually but firmly subordinated to adjusting the newspapers to be platforms collecting readers whose attention could be sold to advertisers. This has been so successful and influential, that the group’s executive no longer feel and need to fudge or obscure what they have been doing. 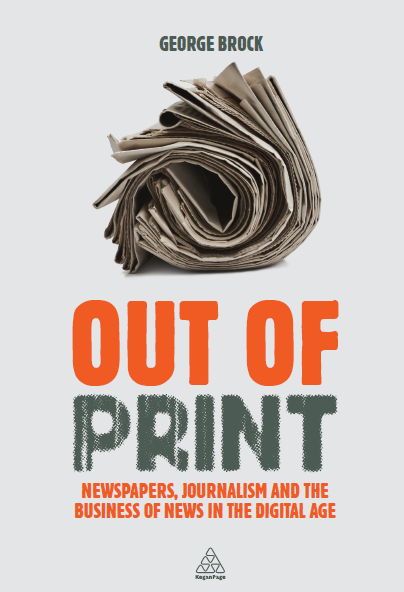 Third was a piece by John Lloyd of the Reuters Institute in Oxford, which contrasts the extraordinary growth of magazines and news channels with the lack of depth and bite in the journalism. The Indian economy has boomed, but so has corruption. News outlets proliferate, celebrity interviewers grill politicians but the country’s problems are neglected. Lloyd quotes one of India’s most experienced journalist-publishers, T N Ninan, calling this the Indian media’s “Dickensian” era. Lastly, a long backgrounder to these pieces focussed on the media. This News Statesman essay by William Dalrymple helps to explain the paradox of how this huge state can both be a rising economic power and dysfunctional at one and the same time. This entry was posted on Monday, October 29th, 2012 at 2:23 pm	and is filed under Media Economics, South Asia. You can follow any comments to this entry through the RSS 2.0 feed. Both comments and pings are currently closed.